We are proud to announce that Fallon Moving & Storage has officially been providing professional relocation services to the Hartford, Connecticut area for 26 years. It has been our honor and privilege to work with each and every customer throughout the years, and we are looking forward to serving you for the next 26 years and beyond. 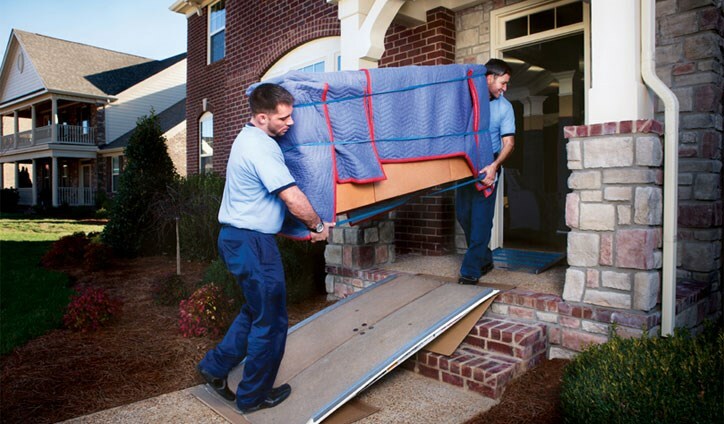 Our CT movers are still as committed to quality service as ever, so you can count on us to continuously improve our solutions to provide you with the ultimate customer service experience. Better Business Bureau: Our Hartford movers have received an A+ Rating for years of commitment to our customers. Atlas: As an Atlas Interstate Agent, we have the resources to handle relocations to any location in the world. American Moving & Storage Association: We are a ProMover certified company which sets us apart from other companies in the moving industry. At Fallon Moving & Storage, we understand that times are always changing. For that reason, we plan to educate ourselves in the latest and greatest methods while we acquire new and improved technology. With our training and tools, we will be able to continue serving our valued customers with the quality relocation services they deserve. Although our moving solutions might change throughout the next 26 years, one thing will remain the same—our commitment to completing simple and stress-free moves. Whether you’re moving soon or not, Fallon Moving & Storage is here to help you with all your residential or commercial moving needs. You can call to ask any question about our local, long distance, or international moving services. If you would like to request a free quote instead, take a minute to fill out our online form with details of your relocation.